F1rst Class Fitness’ Corporate Fitness Training programs are the ideal way to improve the fitness, teamwork and morale of your organisation. 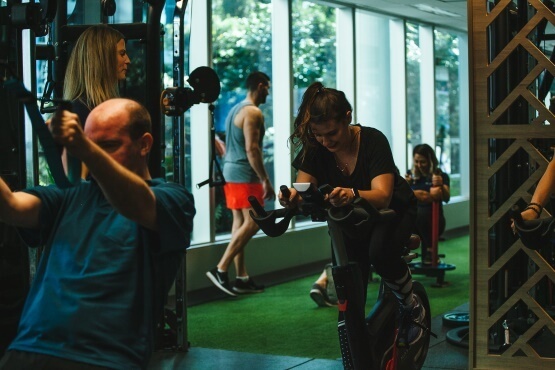 As the largest boutique premier gym in the Brisbane CBD, F1rst Class Fitness is perfectly positioned to take on any of your corporate fitness goals. We are open well before and after office hours every weekday including lunchtime, and are also available for weekend bookings. Choose from our existing range of group sessions, or for something a little more personalised (our speciality! ), enquire about a customised plan. We will gladly consult on your ongoing health and fitness initiatives, designing achievable yet effective programs to improve the greater wellbeing of your team. F1rst Class Fitness has designed a number of successful corporate training programs. Our experience in this sector tells us how essential it is for organisations to prioritise the health and wellbeing of their staff. Evidence backed research shows that corporations who invest in their employees’ health and wellbeing experience a reduction in employee injuries, illness, absenteeism and healthcare costs. 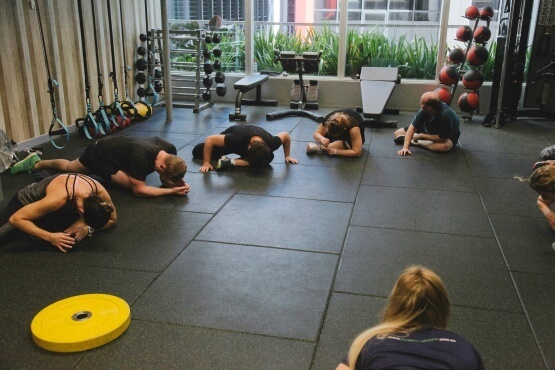 F1rst Class Fitness is committed to helping your organisation boost employee morale resulting in employee retention and increased productivity. Request a corporate training package tailored to your team! Request a Corporate Training Membership. Let’s get to know each other!